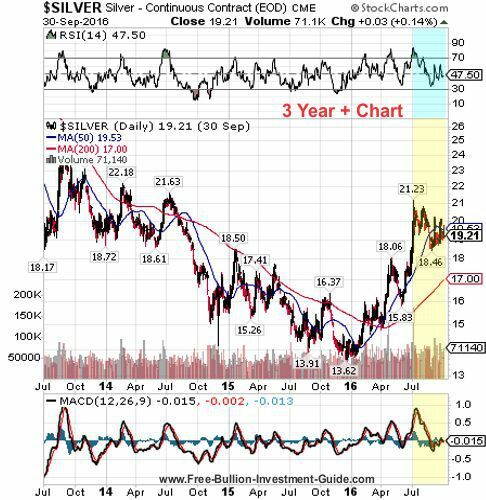 Under the Blog posts, you will find Bullion News Headlines from the 3rd Quarter of 2016. CNBC - Rick Santelli "You can't Wall Paper over Termites Forever"
CHART : King One Eye - Looks Like It's Time for Fed to Talk Up Another Rate Hike! AUDIO : FSN - Danielle Park – Deutsche Bank Headed for a Fall? 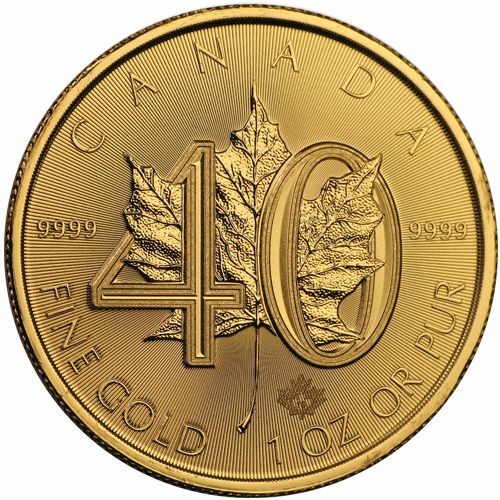 BullionStar - How Constant Is Gold’s Purchasing Power? 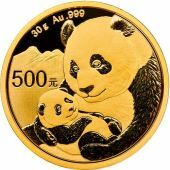 Money Metals Exchange - 2017: Gold and Silver's Year of "Public Recognition"
CoinWorld - Where will platinum bar and coin investment demand end in 2016? 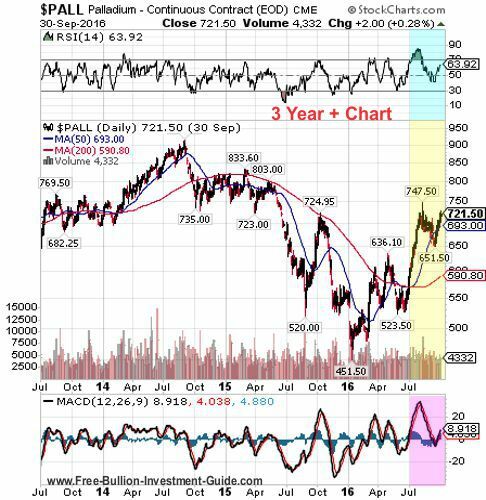 GoldBroker - Merkel Rules Out Bailout For Deutsche Bank: Depositor Bail-In Coming Up? CoinWorld - How did Roman coins from the fourth century get to a castle in Japan? VIDEO : Bloomberg - Citigroup sounds Bullish and Confused (at the same time) on Gold's Future. 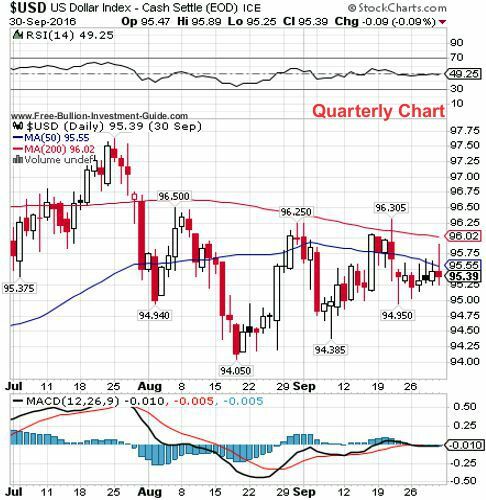 Kitco - The Chinese Yuan: Does October 1 Spell Doom For the U.S. Dollar? GoldReporter - Marc Faber: "Central Banks are Printing Money to Collapse"
NuWire Investor - Brexit, Bonds, Banks - Is Now the Best Time to Buy Gold? 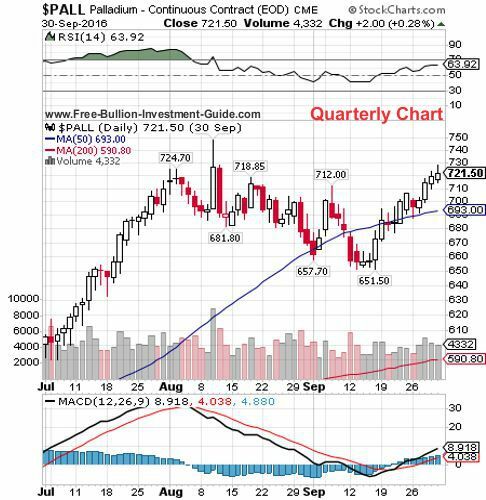 TECHNICAL ANALYSIS : The Deviant Investor - Grand Ascension or Great Collapse? POLL : Hedgeye - Poll of the Day: Will The Fed Raise Rates This Week? Advisor Perspectives - Household Incomes: The Decline of the "Middle Class"
VIDEO : CNBC - Santelli Exchange: Will soft equities work their Fed magic again? 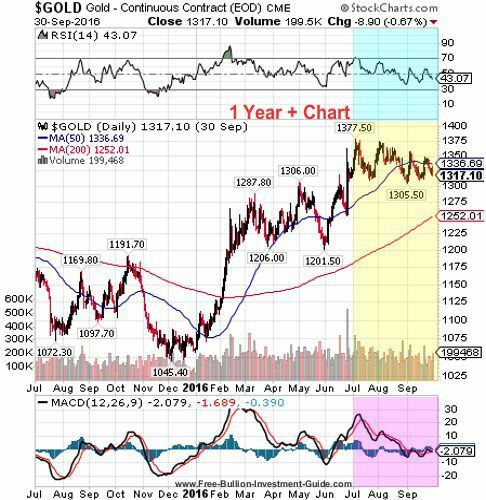 Sunshine Profits - Which Presidents Have Been Best for the Gold Market? 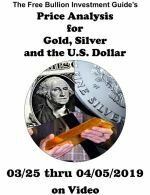 Numismatic News - Is Cash a Curse? True Wealth - Gold is flat. 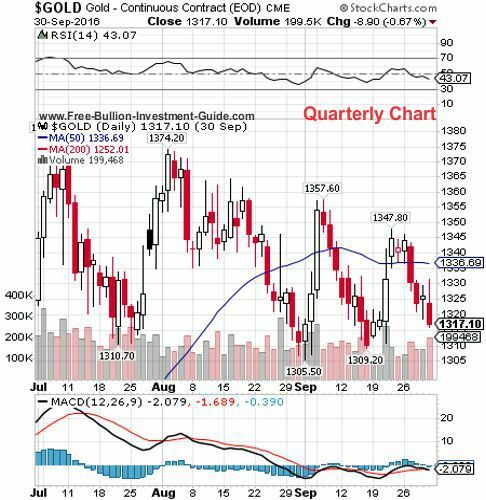 Gold mining stocks collapse. What’s next? CHART : Meb Faber - Not Your Father's, Grandfather's or Your Great Grandfather's Market - Longest Bull, Ever? POLL : Hedgeye - Which Word Below BEST Reflects Your Opinion of the Fed? VIDEO : CNBC - CNBC's Rick Santelli discusses bond prices and yields. CHARTS : Advisor Perspectives - NFIB: Small Business Survey: "No Signs of Strength in the Small Business Sector"
CoinWorld - What happened to all those spilled Lincoln cent planchets? US News & World Report - Failure to Communicate - The Federal Reserve should justify the inclination to raise interest rates. Cobden Centre - It’s easy to criticise the Fed for its failures, because its successes have been only one in number: kicking the can down the road. Peak Prosperity - If Everything's Doing So Great, How Come I’m Not? Value Walk - Who Is Benjamin Graham? Hedgeye - Mr. Rosengren, What Are You Thinking? VIDEO : CNBC - Rick Santelli - The Cost of Policy "Value vs. Ponzi"
AUDIO : McAlvany Weekly Commentary - Common Man is “Mad as Hell & Not Going to Take Anymore”! CoinWorld - Another large gold nugget has been discovered, and this time it’s in the U.S. The Speculative Investor - Is the US economy too weak for a Fed rate hike? 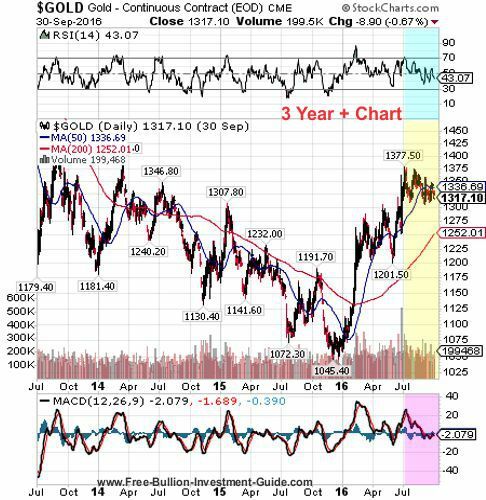 CHARTS : Enonimica - Chinese Buy Gold, Sell Treasury's...Should You? Midas Letter - Federal Reserve’s vice-chairman says negative rates are ‘working.’ In what way? BullionStar - What Are These Huge Tonnages In “Precious Metals” On Chinese Commercial Bank Balance Sheets? CARTOON : Hedgeye - StrikeOut? CFA Institute - Is There a Bond Market Bubble? Econimica - American Demographics Bad But Developed World is Horrific - Will US Fare Relatively Better? Trader Planet - Will New Money Market SEC Rules Kick Off Another 08’ Style Liquidity Crisis? The Bubba Show - Does the Fed Have Any Value? 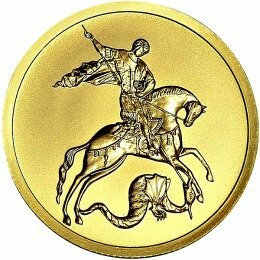 Bullion Star - Song Xin: Increase Gold Reserves And Join SDR. 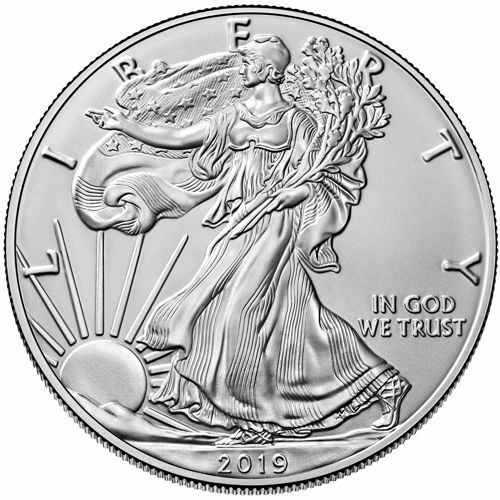 CoinWorld - How do sales of 1-ounce gold American Eagles in 2016 compare to last year? 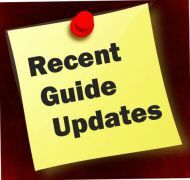 AUDIO : Financial Sense - What the Media Aren’t Telling You - Jim Puplava Describes in Detail the Financial Truths of the U.S. Markets. USA Today - Are Dow Transports a dark signal for the economy? CoinWorld - What does research firm say about investing in palladium? CHART : Dana Lyons - Can Gold Vault Over This Key Level? tweet : Patrick Watson - Here in 3 Paragraphs that Shows Why NIRP is Not Working and Central Banks Clueless. Wolf Street - When Will the Record Corporate “Debt Binge” Collapse? 08/12: Wolf Street - When Will the Record Corporate “Debt Binge” Collapse? 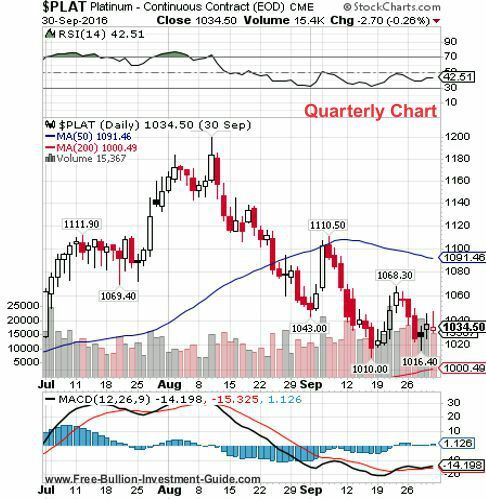 TECHNICAL ANALYSIS : Commodities Countdown - (GDX) Ever Been Hit With A Gold Brick? Dimartino Booth - The U.S. Consumer: Are the Jetsons’ Jets Still On? 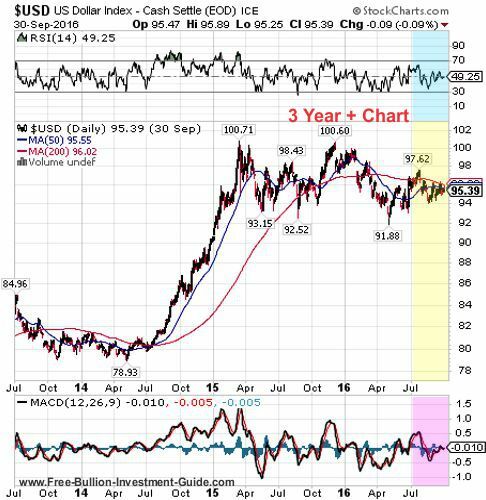 CHARTS : Econimica - JAPANSANITY...or Why Japan's Yen Will Likely Only Get Stronger As Japan Prints More Money "BTW - As the Yen strengthens, gold rises...something to keep in the back of your head?" VIDEO : Hedgeye - The Hedge Fund Draft: Would You Select Stan Druckenmiller Or Janet Yellen? 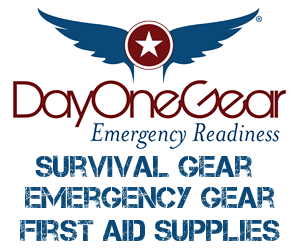 FRAUD : AARP - The Golden Fleece - Older Americans lose millions through coin scams. 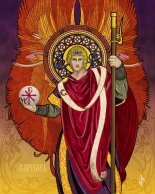 The Deviant Investor - You Can’t Eat Gold! The Fiscal Times - Will the Fed Burst 'its' Bubble? PIMCO - The Fed: Silent on September "This is a free lunch that won’t last forever." 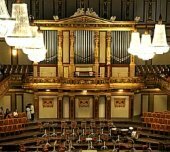 Numismatic News - Unload Coins in Tough Times? CNN Money - The Royal Mint has struck gold with its bullion trading business. The Corner - Are The Central Banks Getting It Wrong? 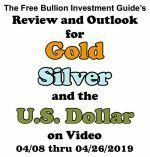 FAKE BULLION : SilverBugs (reddit) - What is Faked More Gold or Silver? tweet : Jesse Felder - Has anyone hacked the Clinton/Yellen emails yet? The Deviant Investor - Retirement Dreams and Nightmares! Econimica - IntraGovernmental Holdings: What Are They, Where They Come From, & Is IG The New QE? 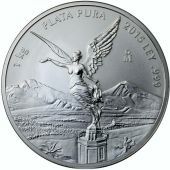 Numismatic News - Will platinum buyers go wild? 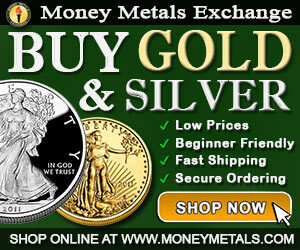 MetalMiner - Hey US Mint, Why Not Let Scrap Recyclers Sell Back Mutilated Coins? 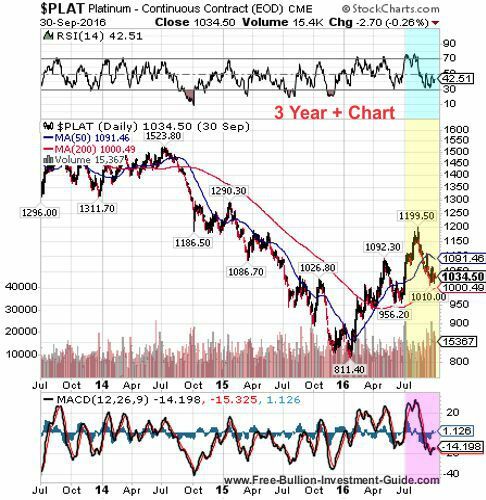 NIKKEI Asian Review - Gold still glitters but how high can it go? 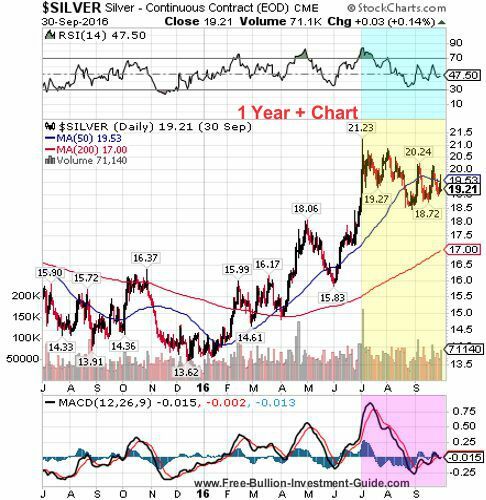 GoldReporter - Citibank drops Venezuela: What happened to the gold? 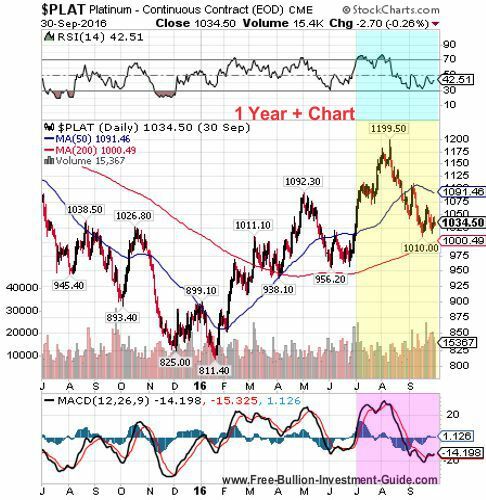 07/13: "Fundamentals at the Moment is the Most Supportive for Gold it's been in Years"
The New York Times - Can We Ignore the Alarm Bells the Bond Market Is Ringing? FAKE BULLION ALERT : SilverBugs (Reddit) - SilverBugs Member - "Got My First Fake 2016 Kookaburras in the Mail Today!" Moneyness - Zimbabwe - Hyperinflation 2.0? CHARTS : CNBC - Charts: What's the Real Unemployment Rate? 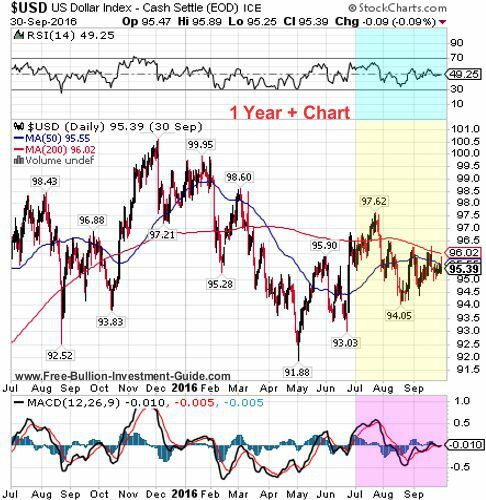 The Non-Dollar Report - Is the Federal Reserve Banking on Negative Rates? 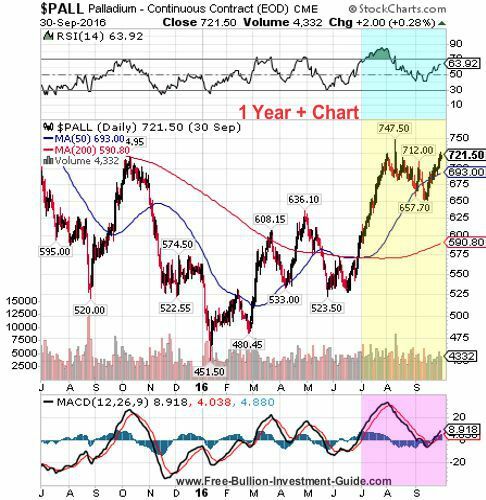 VIDEO : CNBC - The correlation between the Japanese yen and gold has hit its highest level in decades. mybudget360 - Those not in the labor force grows by 25,000,000 people from 2000 to 2016: During this same period those employed grew by 15 million and those unemployed grew by 6 million. INFOGRAPHIC : Visual Capitalism - Commodities: Silver Skyrockets Post-Brexit, Energy is Back! 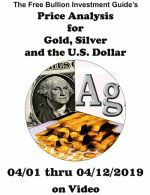 The Deviant Investor - Gold, Platinum, and Silver Speak To Us! Money Metals Exchange - Stock Markets Erase Brexit Losses: Is the Fallout Already Behind Us? 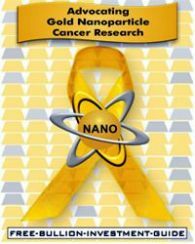 GOLD NANO : CANCER RESEARCH : Times Record - Nanotechnology part of future Fort Smith college research projects - Nanotechnology could be the best route to fighting cancer, and local researchers want to aid in advancements. 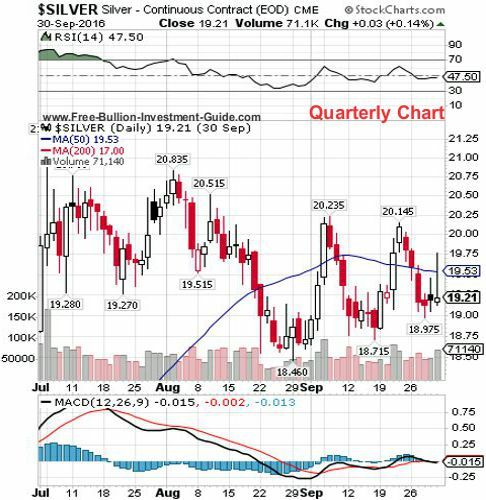 Yahoo Finance - Why Are Silver Prices Climbing? Hedgeye - Got Growth Slowing? 10-Year Treasury Yield Hits All-Time Lows! GOLD NANO TECH : PHYS.org - Researcher pursues new applications for 'hot' electrons - Three years after his discovery of porous gold nanoparticles — gold nanoparticles that offer a larger surface area because of their porous nature—a University of Houston researcher is continuing to explore the science and potential applications.